With the second Chappell-Hadlee ODI match being washed out, New Zealand punters and sports fans had to look elsewhere for some decent sporting action. Luckily the NBA was more than happy to deliver with the Bulls taking on the Oklahoma City Thunder at Chesapeake Energy Arena. While the Bulls have been in the spotlight over major organisational issues over the past week, the team showed no sign of the chaos behind the scenes, crushing the Thunder 128 points to 100. On the back of a solid win against the Philadelphia 76ers, the Bulls continued their impressive performance, making light work of the Thunder’s highly ranked defence. The Bulls managed to shoot an impressive 60% from the field improving their stats to 4-2 over a six game period and 25-25 for the year so far. 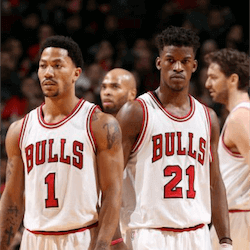 For the Bulls, it was Jimmy Butler who top scored with 28 points with stats of 11 of 17. This included 5 assists, 4 rebounds and 3 steals. On the other side of the court, the Thunder shot 38% from the field and a total of 27% from the three-point range. Missing their second unit anchor, the Thunder were completely outscored in the paint. For the Thunder, things started to go wrong towards the end of the first half. The Bulls pulled of a 7-0 run inside the last minute. This gave them the advantage heading into the locker room. When the second half got underway, it seemed the Bulls were just warming up. The Bulls then began a full on avalanche attack on the Thunder defence. The third quarter saw the Bulls open on a 17-4 run, increasing their already sizable lead. The Bulls then racked up another 39 points to take a full 21-point lead into the fourth quarter. While the Thunder still had a bit of fire left, the deficit was just too big for the team to come back from. As it stands, Oklahoma City has lost three games straight. On the court, the team looks a little lost without NBA star Enes Kanter in to support Westbrook. The Thunder need to get their issues sorted out before facing off against the powerful Memphis Grizzlies on Friday who are well known for their stingy defence. The Thunder then go on to face the Portland Trail Blazers on Sunday. Meanwhile the Bulls will look to keep their momentum facing off against the Houston Rockets and Golden State Warriors in upcoming games. Adams Helps the OKC Thunder to Third Straight Win It has been a good week for Steven Adams and the Oklahoma City Thunder. After two impressive performances and a duo …. 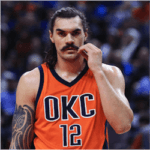 Adams Makes His Return to OKC Thunder in Win over Utah The Oklahoma City Thunder welcomed back kiwi NBA star, Steve Adams. The big man made a triumphant return from …. 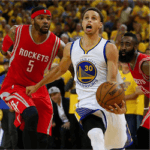 Warriors Edged out By Houston in NBA Opener The Golden State Warriors NBA opener was filled to the brim with explosive plays, fourth quarter comebacks and a buzzer-beater that was …. 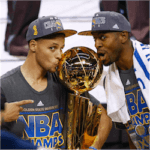 Warriors Claim NBA Championship Title The Golden State Warriors have taken back the NBA Championship with a 4-1 series win over the defending champions, the Cleveland Cavaliers. The Warriors secured …. Cleveland Cavaliers into NBA Finals LeBron James has officially passed Michael Jordan as the highest scoring player in the NBA playoffs. 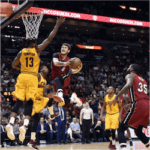 James scored a massive 35 points to help the ….